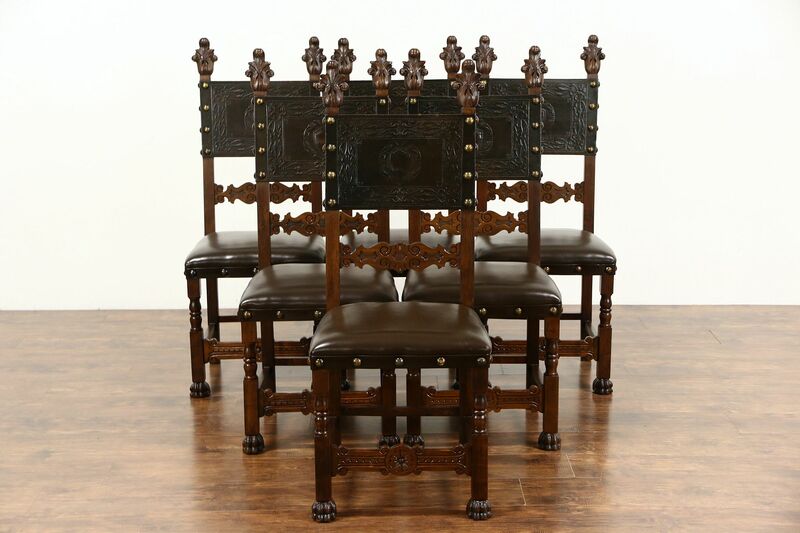 Hand carved of solid walnut in Italy during the 1890's, an imposing set of 6 dining chairs has original tooled leather in the back, seats are newly upholstered in leather as well. Frames with paw feet are reglued to serve another generation, the renewed finish is in excellent condition. Brass nailhead trim is authentic on this antique furniture with a family crest embossed into the backs. Measurements are 18" wide, 19" deep, 45" tall and seats are 19" high and 15" deep.